Roswell Office Suites are designed for busy professionals who are looking for a new way to work. 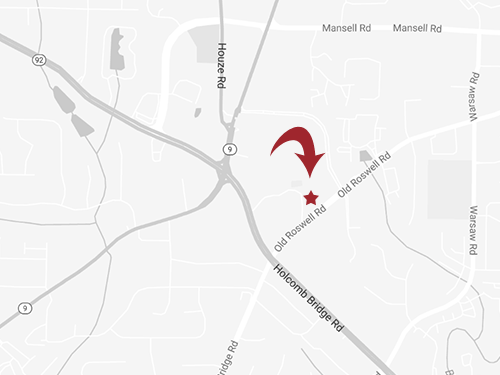 We are located on Old Roswell Road just minutes from GA 400 offering easy access from the Atlanta metro. Whether you are an entrepreneur, self-employed or running a fast-growing business, our office spaces are designed to meet your needs. Our welcoming, professional reception area and experienced staff will make the right impression on your customers and clients. Executive support and administrative services, state-of-the-art equipment, and more are all at your fingertips. 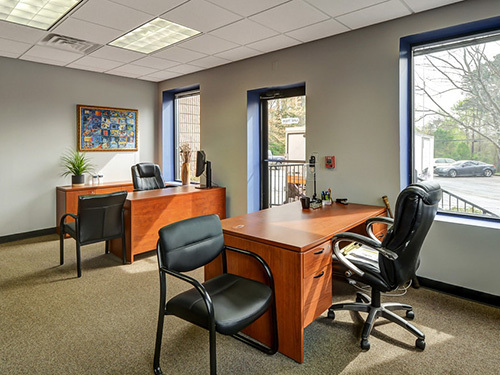 Our executive office spaces offer a wide range of services including a professional business address as well as convenient access from Holcomb Bridge (traffic light access), making it easy for your clients and customers to find you. Call and speak with one of our leasing agents to learn more about our comprehensive business packages that deliver the financial flexibility necessary to run you business cost-effectively.